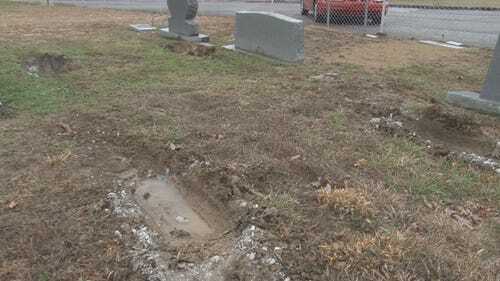 (WBIR) An East Tennessee community is trying to figure out who vandalized a local cemetery. It happened at The Swan Pond Baptist Church Cemetery in Harriman. Someone knocked over several tombstones, stole dozens of vases, and a few benches. They also drove through the grounds and over some graves. The church estimated the damage costs around $2,000. Those with loved ones buried at the cemetery are hoping for justice. "I have no idea why anyone would do anything like this. It's one of the lowest things that somebody could do," Roane County Commissioner Randy Ellis said. Ellis is feeling the impact firsthand. He represents the district where the vandalism took place and both his grandparents are buried at the cemetery. He said he plans to work with the district attorney to make sure whoever caused the damage is prosecuted to the fullest extent of the law. He suggested anyone with loved ones buried at the Swan Pond Baptist Church Cemetery go and check the graves for damage.